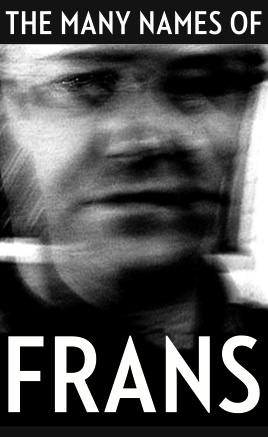 If all goes well, I should be getting today or tomorrow a box of copies of my latest release, ‘The Many Names Of Frans’, a cassette released by Vuz Records. I known Holger since the mid 80s when he had a label called Dill, and I participated on a compilation. This new cassette is his second release on a new cassette label called Maneki Neko Tapes and its basically a fifteen track compilation of various names I have used for my various musical projects. Below I copied all the liner notes. Actually today I should have been working with Martin Luiten on finalizing the mix of our third and final Pick-up LP, but the heavy rain all day prevents me from going out. I am sure Martin will do a good job. After sending out all free copies to fellow conspirators, I will have a few left for sale, contact me. After five years of talking about starting Zebra, Roel Meelkop and I finally started in 2005, albeit with a 7″ that had a solo track by each. We see Zebra as the logical extension of Goem, but then with more ‘fun’ and perhaps even more ‘concept’. We choose [or you could say “settle upon”] a theme, say the word ‘music’ and then look for popsongs that deal with ‘music’. ‘Ouverture’ is from our as of yet unreleased album that deals with songs with ‘Ouvertures, Rhapsodies, Fanfares and Symphonies’. This edit was created for a compilation that rejected our track on the grounds of copyright. Oh, and we used the wrong drum machines! In 1995 Roel Meelkop joined Peter Duimelinks and me for the live line-up of Kapotte Muziek and after our first concert as a trio, we did some rehearsing. It was the only time we rehearsed. This particular recording is from one of these. Previously unreleased. From the original notes written on September 9th 2002: “All sounds contained in this piece were recorded on my rather noisy bike – some screws et al aren’t attached right, so it makes noise while riding the bicycle. As my bicycle is always in Nijmegen, I opted for a personal note on Nijmegen, rather then a social picture of the city. Being born here in 1965, I returned in 1998, after having spent some years in Den Haag. We bought a house at Fagelstraat 40 address. In 2000 the relationship ended and I moved out and now at the Acaciastraat 11 address. But in the next two years, I went back and forth to the old address to take care of my daughter. This ended in August 2002, when my daughter moved out of Nijmegen and my active role as a father ended. The house was sold and upon the final day being there, I went back on my bicycle and recorded the source material while going to my own house. A small ride of maybe 7 minutes. On the soundpiece I transformed the sounds, keeping in mind the various curves and roads to follow. Two days later I had my bicycle fixed and it’s now all silent again.” Klankschap #5 was recorded for the project ‘Invisible Cities’ in Ireland and was before only available as a download. When I heard that Plate Lunch was to do a Conrad Schnitzler remix project I invited myself. Plate Lunch thought the track was good, but asked if the piano intro could be removed. I agreed, but shortly after that, the owner of Plate Lunch passed away and with him, this project, so here is the original version including piano. Quest was my solo project in ambient music in the 90s, and it differs from QST, which was me and Maurice van Dongen. Previously unreleased. Captain Black, an US brand of pipe tobacco, was my remix alter ego. I remixed various bands and never asked permission. I released several of them on limited pieces of vinyl (Unitone HiFi, PWOG and Tortoise), CDR (Power Steppers) and much remains in the archive (WordSound label for instance). This remix of Scorn is previously unreleased. Probably a one-off project of Ben Schot, Roel Meelkop, Puck Schot and me, using WII-Rock band hero set-up, computers and amplifiers. Recorded live in Extrapool on November 6th 2010. Previously unreleased. In April 2009 Scott Foust and I toured Europe as The Tobacconists, and recorded a LP for Hanson Records/Swill Radio (to be released in 2011). This piece was recorded through mail in 2011 and is previously unreleased.